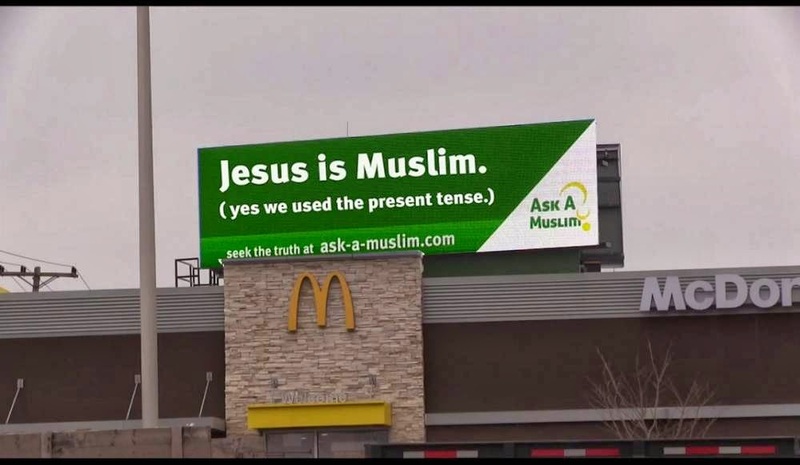 The Islamic group “Ask a Muslim” is running “Jesus is Muslim” billboards in Columbus, Ohio. Mohammed, the founder of Islam, was born 500 years after Jesus’s death. Controversial billboards in Columbus, Ohio, reading “Jesus is Muslim” and “Mohammed is in the Bible” are drawing protests from local Christians who say Muslims are “hijacking” the name of Jesus. “Although we support the Islamic community’s right to free speech, as well as their right to post messages on billboards, we do not support the hijacking of the name of Jesus Christ in their attempt to lure uninformed Christians into their religion,” Coach Dave Daubenmire of Pass the Salt Ministries said in a statement Thursday. Catholicism - If It Were Easy, Everybody Would Do it! 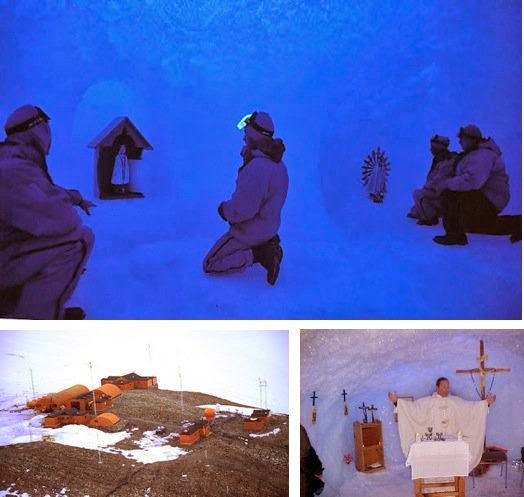 Antarctic churches and chapels. We have the only one in an ice cave. §3 Provided their own minister is not available, baptized persons belonging to a non-catholic Church or ecclesial community may, in accordance with the prudent judgement of the local Ordinary, be allowed Church funeral rites, unless it is established that they did not wish this. 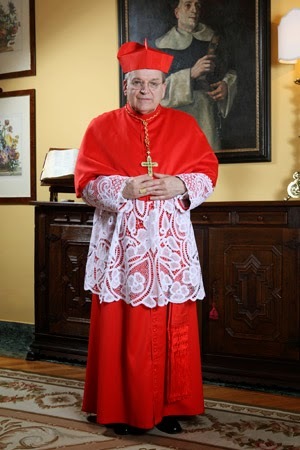 President Barack Obama's policies "have become progressively more hostile toward Christian civilization," Cardinal Raymond Burke, the Vatican's chief justice, said this week. "He appears to be a totally secularized man who aggressively promotes anti-life and anti-family policies," Burke, president of the Apostolic Signatura, said in an interview published Thursday by LifeSiteNews.com. "Now he wants to restrict the exercise of the freedom of religion to freedom of worship. "He holds that one is free to act according to his conscience within the confines of his place of worship but that, once the person leaves the place of worship, the government can constrain him to act against his rightly-formed conscience, even in the most serious of moral questions," Burke said. 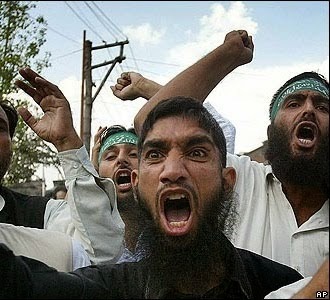 What do YOU think about your fellow Muslim, Angry Jihad Guy? Rome, Italy, Mar 20, 2014 / 01:00 pm (CNA/EWTN News).- Sr. Cristina Scuccia is a 25 year old member of the Ursuline Sisters of the Holy Family who has appeared on "The Voice of Italy," a reality show akin to "American Idol" or "Britain’s Got Talent." Pope Francis recently told a group of Spanish bishops that he would canonize three saints by equivalent canonization on April 2, according to a report on a Spanish diocesan website. 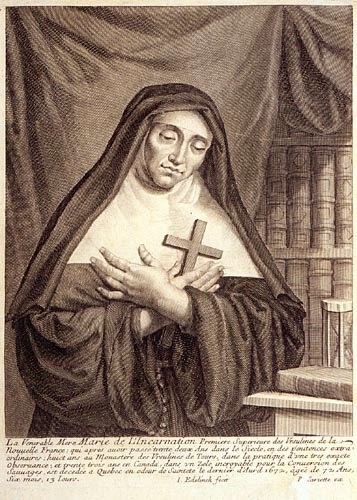 The three are Blessed José de Anchieta (1534-97), a Spanish Jesuit missionary to Brazil; Blessed Marie of the Incarnation (1599-1672), who introduced the Ursuline order in Canada; and who introduced the Discalced Carmelite reform in France; and Blessed François de Laval (1623-1708), the first bishop of Quebec. In equivalent canonization-- a procedure described by Pope Benedict XIV in the eighteenth century-- the Pope waives the usual judicial process and declares that a blessed’s liturgical cult is extended to the universal Church. 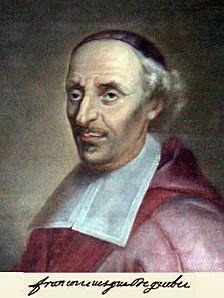 June 22, 1980...François de Laval was beatified by Pope John Paul II in St. Peter’s Basilica in Rome. At the same ceremony, the “Blessed” designation is also granted to Marie de l’Incarnation and Kateri Tekakwitha. I wonder if Kateri is rethinking the whole miracle thing? I Love a Parade! The Tramping of Feet, I Love Every Beat I Hear of a Drum! 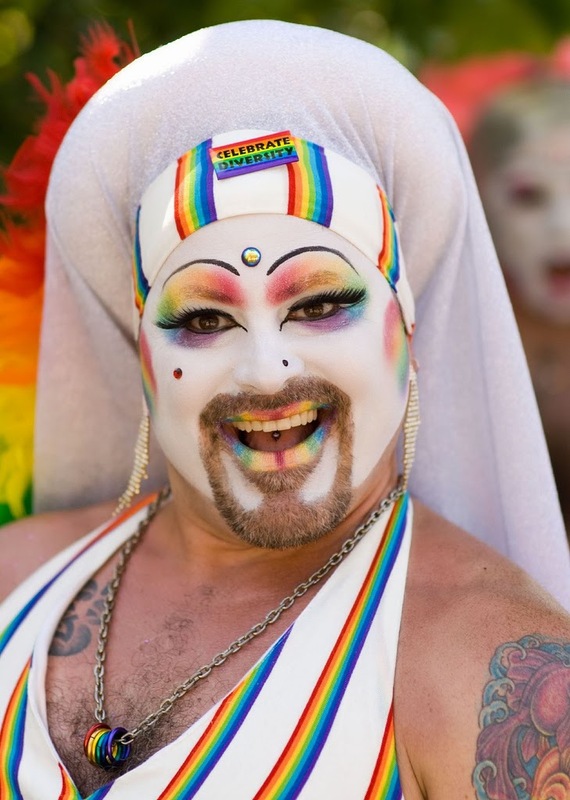 "Bill Donohue, president of the Catholic League for Religious and Civil Rights, says he has filed an application to march in the New York City Gay Pride Parade this year. 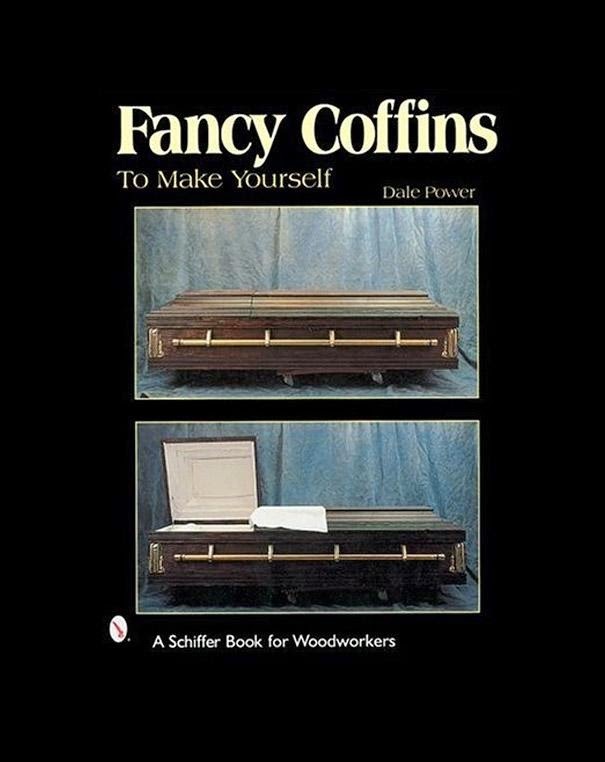 "Are they going to let me do it or not? I'm waiting to see what they want to say," he said Wednesday." 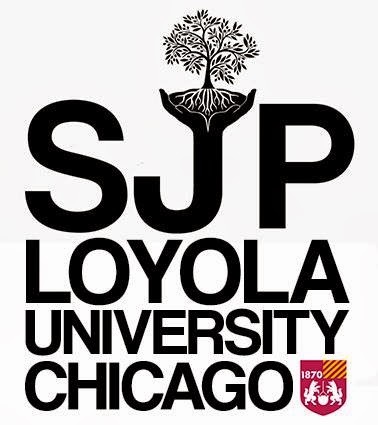 On Tuesday evening, Loyola University of Chicago (A JESUIT SCHOOL) became the first Catholic institution, and the first from the state of Illinois, whose student government has passed an anti-Israel divestment resolution. The resolution, which a source says was not announced in advance, and faced no debate or opposition, called for the university “to divest from corporations profiting from Israel’s occupation” and passed unanimously, with twenty-six votes in favor and two abstentions. A video of the resolution's passage was posted online. Many of the students applauding appear to be Muslim, with female students wearing headscarves at the meeting. "A seven-member team of medical experts convoked by the Vatican reported there is no natural explanation for the survival of a child delivered stillborn and whose heart did not start beating until 61 minutes after his birth. 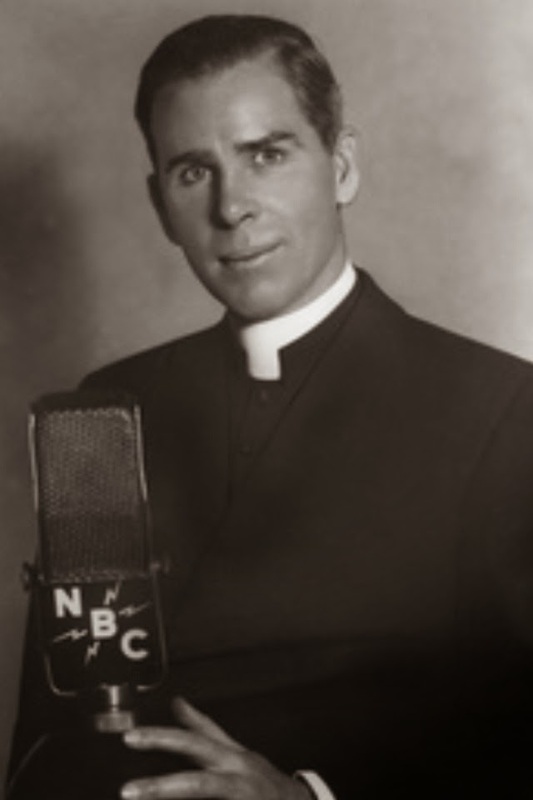 The survival of the child, James Fulton Engstrom, now three years old and developing normally, was credited by his parents to a miracle attributable to the intercession of Archbishop Fulton Sheen, who gained fame for his 1950s television show Life Is Worth Living and his 16 years at the helm of the Society for the Propagation of the Faith. The medical experts’ report was announced in the Diocese of Peoria, Illinois, by the Archbishop Fulton Sheen Foundation, which is led by Bishop Daniel Jenky of Peoria." 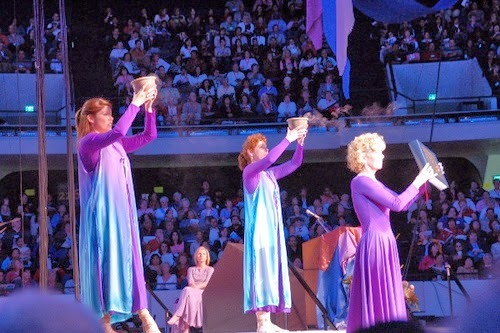 Did you attend the 2014 LA Religious Ed Congress recently? Me neither, but here's the closing circus...I mean "Liturgy". The "liturgy" is presided over by the Mexican -born Archbishop of Los Angeles, Jose Gomez. Also in attendance was noted anti-Semite, His Eminence Óscar Andrés Rodríguez Maradiaga of Honduras. The dancing goes on for about 10 minutes before any of the priests and bishops get into the act. 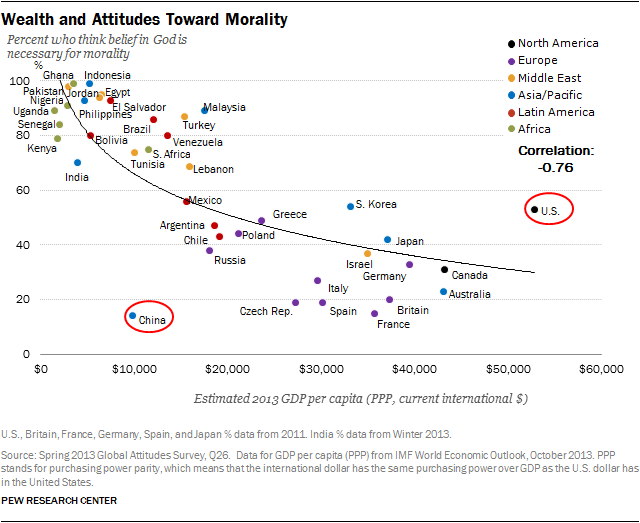 Notice the outliers, China and the United States. "A fatwa (religious edict) against “all you can eat” buffets by a Saudi cleric has stirred debate among users of social networking site Twitter. “Whoever enters the buffet and eats for 10 or 50 riyals without deciding the quantity they will eat is violating Sharia (Islamic) law,” said Fawzan on al-Atheer channel." 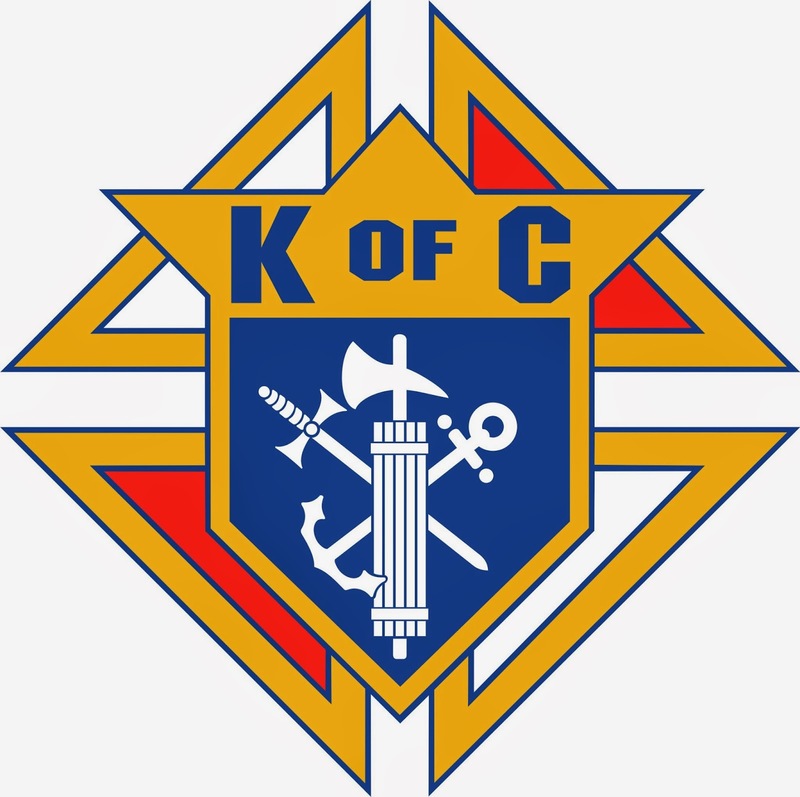 IN solidarity with our Islamic brothers, the Knights of Columbus are cancelling all their Lenten Fish Frys world-wide. 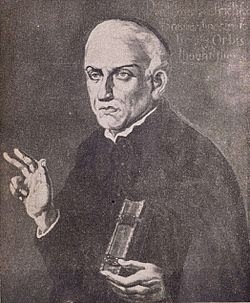 Those whacky Jesuits are up to their old tricks (again)! 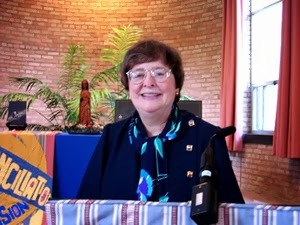 Sr. Elizabeth Johnson, Distinguished Professor of Theology at Fordham, is tentatively scheduled to deliver a lecture entitled “Invisibility in the Gospel.” In 2011, the U.S. bishops’ doctrine committee released a statement condemning her 2007 book “Quest for the Living God” for “misrepresentations, ambiguities and errors” that do “not accord with authentic Catholic teaching on essential points.” The book, they said, “completely undermines the Gospel and the faith of those who believe in the Gospel” when it addresses doctrine of the Trinity. 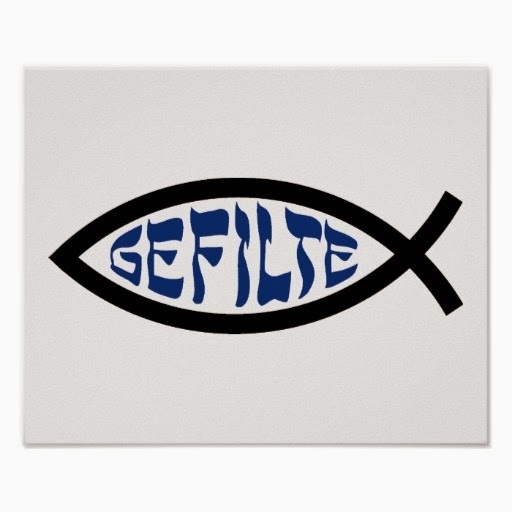 There is an ancient Jewish custom to eat fish on Fridays because God created fish on the fifth day, man on the sixth day, and then rested on the seventh day–the Sabbath. 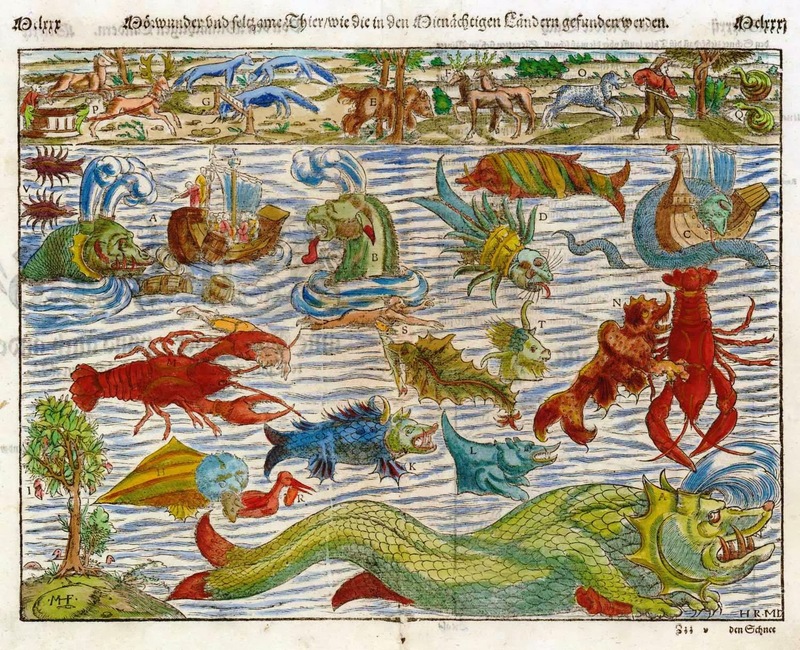 According to Genesis, "God created the great sea monsters and all kinds of crawling living creatures with which the water teems, and all kinds of winged birds. God saw that it was good, and God blessed them, saying: Be fertile, multiply, and fill the water of the seas; and let the birds multiply on the earth." So eat up! Sea monsters are on the menu! 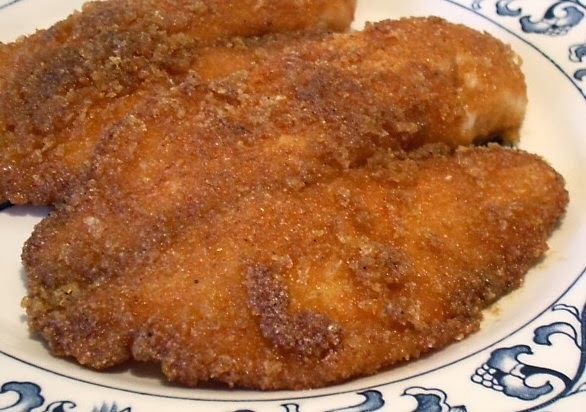 And chicken. About the only thing I know about the "Jesus Fish" is that people who have one on their car are crumby drivers. In 1248 Fina’s life was changed by a serious illness, which began, progressively, to paralyse her (probably a form of tuberculosis like osteomyelitis). Her deep faith relieved her pain. She refused a bed and chose instead to lie on a wooden pallet. According to her legend, during her long sickness her body became attached to the wood of the table, and worms and rats fed on her rotting flesh. 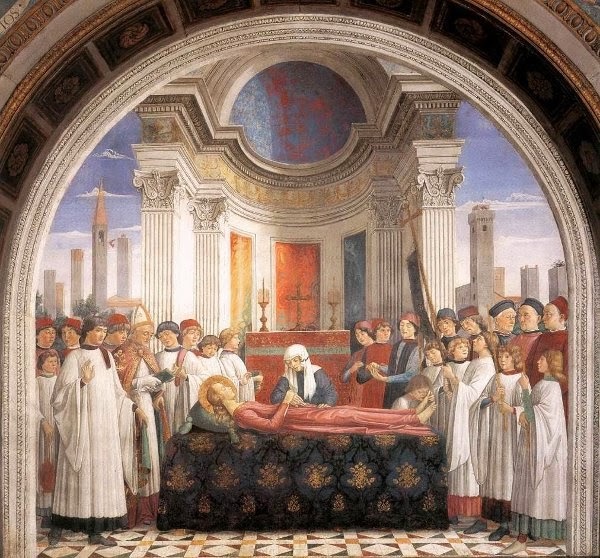 On March 4, 1253, after five years of sickness and pain, while her nurses Beldia and Bonaventura were waiting for her to pass away, Saint Gregory the Great allegedly appeared in Fina’s room and predicted that she would die on the 12th of March. Fina died on the predicted date. She was only 15 years old. March 12th is the Feast of St. Gregory! When Fina’s body was removed from the pallet, the people who were there saw white violets bloom from the wood and smelt a fresh flower fragrance through the whole house. The violets grew on the walls of San Gimignano too and still today they grow there. For this reason the people of San Gimignano call them “The Saint Fina violets”. 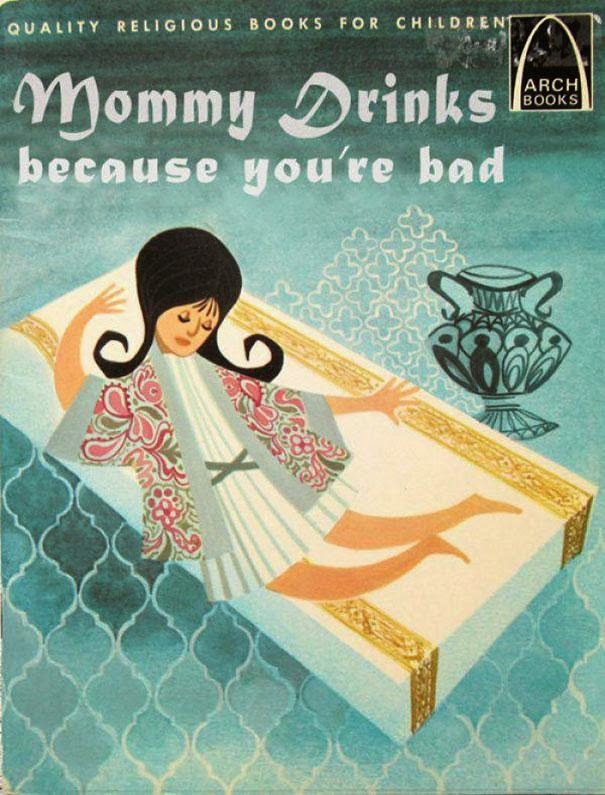 By the way, she was never canonized so I guess she is not officially a "saint". 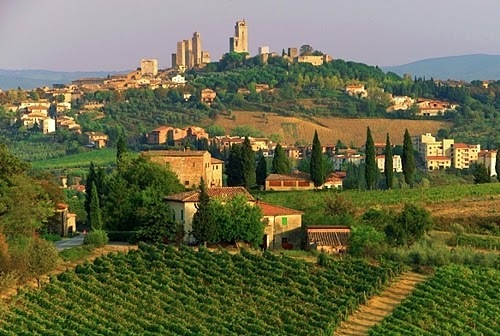 Legends say that, at the exact moment of Fina’s passing away, all the bells of San Gimignano rang without anyone touching them. Just Ask The Waiter - Try the Gator! They've Got an Aweful Lot of Coffee in Brazil!